Men and women, ultimately, need the twelve kinds of love. However, without their six primarily emotional needs, they’re unfulfilled and unsatisfied. The thing about those different needs is that they’re reciprocal, for example when a man shows care to his woman, reciprocally she’ll trust him and show him her trust, and when he feels trusted, he’s motivated to care more for her. They both end up fulfilled and satisfied. When a man shows interest in his woman’s feeling and concern for her well-being, she feels cared about and her first emotional need is therefore fulfilled. As she feels her man’s care, she instinctively trusts him. She’s sending him a message that she believes in his ability to do his best for her. Her attitude becomes more receptive and open. Automatically, as the man senses her attitude, he feels trusted and is willing to care more. When a woman is expressing her feelings to her man, she’s craving the feeling of being understood and heard. This doesn’t mean to already know what she’s thinking, but to gather meaning from what is said and validate her feelings. The more a woman feels understood, the more she’s able to lovingly accept her man. To accept a man doesn’t mean to view him as perfect, but to not try to change and make him improve and trust that he can make his own improvements by himself. When a woman’s feeling, thoughts, rights, and wishes are acknowledged, she feels respected. A man can also show his respect physically, through presents, flowers as well as remembering anniversaries. When a woman feels respected, it is much easier for her to acknowledge and appreciate her man’s efforts. As the man feels appreciated, he feels like his efforts aren’t wasted and are encouraged to respect more his woman. A man is devoted to a woman when he makes her number one in his life and lovingly commits to fulfill her needs. A woman as a result thrives, she feels adored and it is easier for her to admire her man. As a woman primarily needs devotion, a man equally needs to feel admired. This means that his woman is delighted and amazed by his talents and characteristic, be it humor, kindness, romance, strength, understanding and other old-fashioned virtues. When a man feels admired, he feels more secure to devote himself further to his woman. When a man accepts the way his woman feels without judging, he’s giving her the message that she has the right to feel the way he does. He’s fulfilling one of her primarily emotional needs, bearing in mind that he can validate her feelings while having a different point of view. In return, when a woman feels validated, it’s easier for her to give her man the approval he needs. Every man wants to be a hero in the eyes of his woman, and her approval is the sign that he passed all the tests. To approve of a man is to look for the goodness in him and to recognize the good reasons behind what he’s doing. When a man, cares, understands, respects validates his woman needs, feelings and thoughts, he’s reassuring her that she’s continually loved. This is a primary love need for a woman to be constantly reassured of her man’s love. A man shouldn’t assume that when he makes his woman feel loved, that she should know from now on she’s loved. He should keep reminding her of his love again and again. Equally, a man needs to be constantly encouraged. An encouraging attitude that a woman shows, is an attitude that expresses her confidence in her man’s abilities. When a woman’s attitude expresses trust acceptance, appreciation, admiration, and approval it encourages a man to give more to his woman and to keep reassuring her of his love. 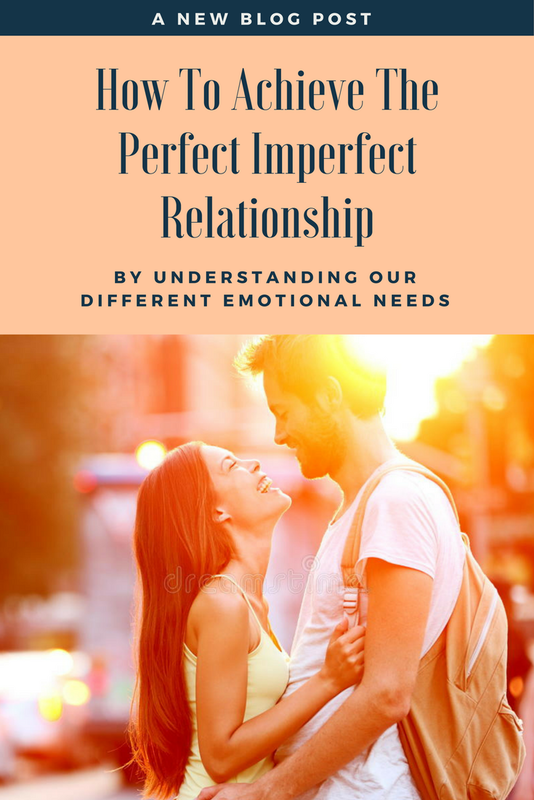 Without the awareness of the different kinds of love needs, men and women might, not only be unfulfilled but also, they might be hurting each other. For example, a woman who would love to receive care and devotion might mistakenly think that her man would be openly receptive for her care and she gets confused when he doesn’t appreciate her caring efforts. in fact, a man might feel hurtful when poured with much care, for he prides himself for his accomplishments and abilities and to give him much care would send him the message that I don’t trust you to take care of yourself or me. Communication is so crucial for women, they not only express themselves when they talk, but they also process issues and relieve themselves as they talk. And when a man listens intently to his woman without judging or interrupting to try to fix her, he’s showering her with care, understanding, respect, devotion, validation, and reassurance. As a woman feels heard, she feels safe to express herself more and fulfill in return her man’s primary love needs of trust, acceptance, appreciation, admiration, approval, and encouragement. The secret to fulfilling your man’s primary love needs is not to try to change him or improve him, instead address him with a positive attitude that reflects trust, acceptance, appreciation. admiration, approval, and encouragement. It is normal for a woman to want to give care and advice to someone she loves, however, this might be negatively perceived by the man. Never try to advise your man unless he specifically asks for it. Instead, trust that he can do it his way.